Roofing Repairs: Can I Do It Myself, or Should I Call the Pros? Home / Home Improvement Blog / Roofing Repairs: Can I Do It Myself, or Should I Call the Pros? Michigan endures plenty of weather that is tough on your roof, such as wind, hail, snow, and ice. So, it’s not uncommon for homeowners to find themselves facing cracked, damaged, or missing roof shingles that need replacement. And since the idea of spending your hard-earned finances on a roof replacement may not be exciting, you might be considering whether doing roof repairs on your own might make sense. But before you go the DIY home improvement route, be sure to educate yourself on the pros and cons of doing it yourself versus hiring professionals. After considering all the angles, many homeowners realize it’s a safer, more practical, more cost-effective solution to hire a reliable, experienced roofing company to handle a roof replacement. With all the home remodeling shows on television today, it can be tempting to think of yourself as the next Bob Vila, Chip and Joanna Gaines, or one of the gang from This Old House. But home improvements can be complicated and demanding. The cost of buying the materials yourself and doing the work yourself can save you money if the job is simple—like fixing a small leak or replacing a few shingles. 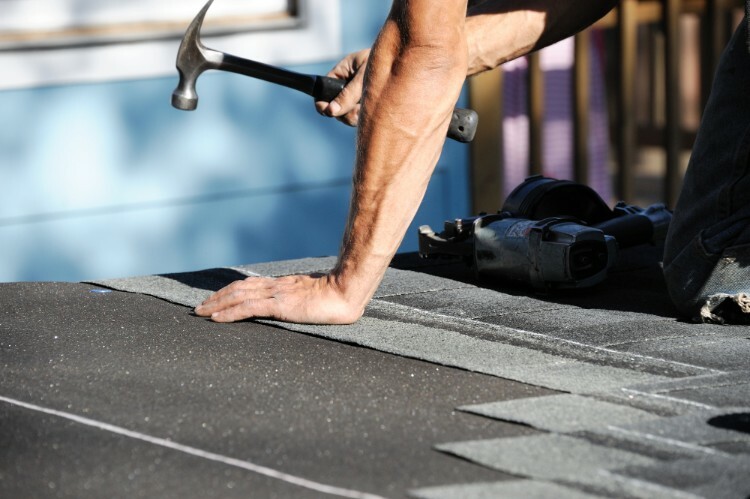 When it comes to roof replacement, the challenge of climbing onto your roof and replacing all of its shingles can outweigh the costs of hiring a pro. The more involved your home improvement project is, the smarter it is to hire pros who do that sort of project all the time. -Roof replacement or repair is challenging for many reasons. Unless you’ve done a lot of it, it’s likely to be hard to tackle as a DIY project. -Shingles are not always easy to install properly. And improper installation can lead to leaks. -Climbing onto a roof and staying up there safely is not easy. -Professional roofers are experienced at handling the complicated issues involved in roof work. -They know how to do the job right from the start. -A full roof replacement is a complex, technical, structural job that requires the expertise of professionals. Doing it wrong could harm your house, hurting its resale value. Any time you are considering getting on top of your roof, it’s time to think carefully about whether you can do it safely. -Climbing a ladder and walking on a roof are two ways in which homeowners frequently get injured. -Unless you have a lot of experience, roofing repairs can be risky. -Roofers work atop roofs on a daily basis and are experienced with how to safely avoid dangers. The roofing materials you invest in can determine how well your roof holds up over time. That means choosing the right materials is a major key to your return on investment on this home improvement project. -There are a lot of materials on the market to choose from. With research, you can narrow down your options and learn which materials may be right for your home. -As a DIY homeowner, you likely won’t have access to many roofing materials preferred by the pros. The brands readily available at the big box stores may not actually be the best roofing materials for your needs. -Professional roofers have access to high-efficiency GAF roofing materials from many manufacturers. Ordinary consumers may not be able to obtain these materials on their own. -Pros spend a lot of time researching and testing materials to find the best options for the region where they work. -Many pro roofers invest in training their teams to handle specialty materials through manufacturers’ certification programs. This means pro roofers are trained in proper installation of roofing materials, ensuring you get the longevity you deserve from your new roof, as well as the assurance of a manufacturer’s warranty that isn’t voided by improper installation. Ultimately, home improvement projects like a roof replacement come down to how well the work is performed. No amount of cost savings can outweigh home improvement work done with superior skill and excellence. -Obviously, your ability to perform DIY work depends on your knowledge, as well as your personal level of attention to detail. -Always remember — If you don’t do something properly the first time, it can lead to more costly and complicated problems down the road. -Improper, inferior roof fixes are more likely to result when an inexperienced homeowner attempts the job on their own. Roof leaks can result, costing you a pretty penny in repairs. -A reliable, experienced professional roofing company depends on superior, customer-pleasing installations to keep their business going. It is in a professional company’s best interest to perform every job excellently. -It’s easy enough to assess a roofer’s expertise by checking online reviews, talking with others who have used their services, and looking for their ratings with the BBB or Angie’s List. 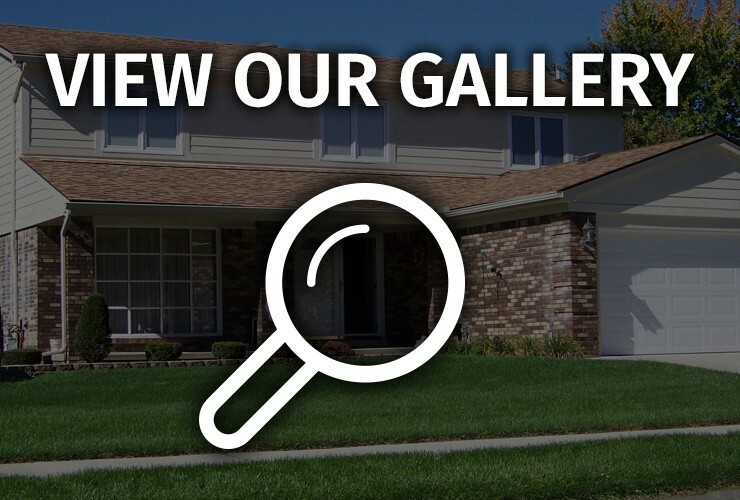 When it comes to roof replacements, repairs, or other home improvement projects you have in mind, the experienced, reliable team at John McCarter Construction has you covered. We love helping Michigan homeowners by installing beautiful, long-lasting new roofs they will enjoy for years to come. Check out our roofing options, and contact us to request a free consultation and quote for a roof replacement.